Demetrius Shipp Jr. stars in the Tupac Shakur biopic All Eyez on Me. 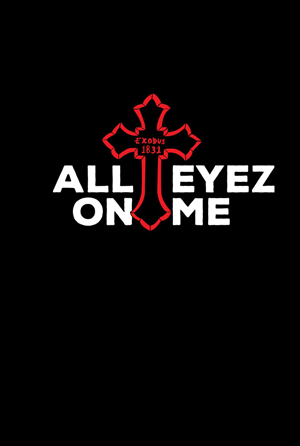 Watch the All Eyez on Me movie trailer below! The story chronicles the life and legacy of Tupac Shakur aka 2Pac, telling his rise to superstardom as a hip hop artist and actor. “All Eyez on Me” chronicles the life and legacy of Tupac Shakur aka 2Pac, including his rise to superstardom as a hip hop artist and actor, as well as his imprisonment and prolific, controversial time at Death Row Records, where he was steeped in the East Coast/West Coast rap war. The title of the movie comes from his hit 1996 fourth studio album by the same name. The double album earned a diamond certification (ten times platinum) from the Recording Industry Association of America (RIAA) 18 years after its release. An inspiration to millions, Shakur was shot multiple times on September 7, 1996 in a drive-by shooting in Las Vegas, and died six days later.